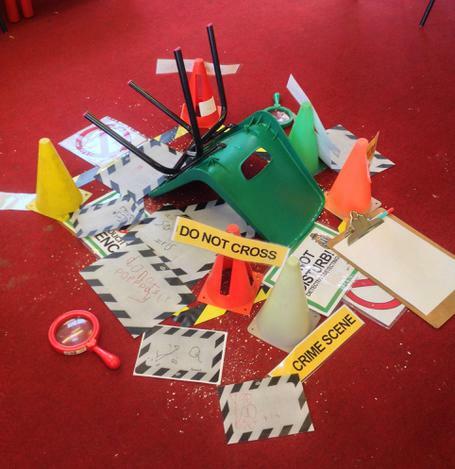 Reception have spent the week solving a crime in their classroom. Someone broke a chair and spilt porridge everywhere. They have been studying the evidence and looking for clues. They have made warning signs and written letters asking for help. Who do you think did it?